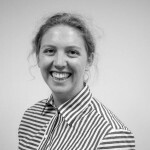 Savannah Holliday is a member of the Pro Bono Australia team with a background in communications. Savannah Holliday, Tuesday, 27th September 2016 - Not for Profits, governments and the private sector must partner and work with diaspora communities to develop effective programs, policies, secure trade and peace building initiatives, a conference on diasporas was told. Savannah Holliday, Wednesday, 15th June 2016 - Koky Saly, who came to Australia as a refugee, has created a business making and selling backpacks used from recycled materials to help fund education and schools in Cambodia, writes Savannah Holliday in this week’s Spotlight on Social Enterprise. Savannah Holliday, Monday, 18th April 2016 - Pairing aged care residents with carers from a similar cultural and linguistic background is becoming more common as Australia copes with its aging multicultural population, according to training provider Charlton Brown. Savannah Holliday, Thursday, 3rd March 2016 - While Not for Profits and charities work to embrace and promote diversity, the social sector must do more to bridge the gaps that marginalise minority groups, a social cohesion forum has revealed.